Three days before gameday you leave work early to fulfill your volunteer commitment to your child’s sports club. You spend a couple of hours lining the fields, securing goalposts and emptying trash cans. The night before the game, you run all over the house trying to piece together the uniform and equipment needed for the game. And you are the last to bed. On gameday, you are the first to rise and you wake your child up to say “we leave in 30 minutes”. You prepare a healthy breakfast for your child. You pack the oranges in the cooler for the team snack and load up the car. You get in the car and confirm that your child has cleats, jersey, warm weather gear, cold weather gear, bottles of water, mouthguard and ball as you drive to the game. You are running late so you offer to drop your child off, and he asks if you could carry some of his gear in after you park the car. As game time approaches he realizes his water bottle is empty, so you offer to fill it while he warms up with the team. At halftime, you shuttle the snacks out to the team. After the game you and other team parents remind the kids not to leave behind water bottles, orange peels or any other trash. Your son asks if he can go to another player’s house after the game so you offer to take his gear home (of course you put the uniform directly into the laundry machine to prepare it for tomorrow’s game). Have any of you ever had days that felt like that? Isn’t it time we empower our kids to handle these responsibilities themselves? Teachers make it a priority to empower students. It’s a prevalent theme with child psychologists. And we need to embrace it. Empowerment: The act of teaching our kids to fulfill personal, social and civic responsibility. We need to teach our kids….but we also need to train ourselves. Many have referred to our generation of parents as “Helicopter Parents” and “Controlling”. And I’ll be the first Gen X parent to admit: We handle way too many of our kids’ responsibilities in an effort to control and engineer situations. But most of these responsibilities are things that any 10, 12 or 14 year old can handle so let’s have the kids own the experience. I recently joined the board of a new local Lacrosse program and noticed this type of behavior starting to creep in. As the responsibilities of the founding board members started piling up it occurred to me that starting a new club or sport program is a great opportunity to empower the kids. The answer was – A bunch of it! I am preparing the same type of ownership of much of our practices. 3-man groups that each will have specific assignments during practice. No one wants to be responsible for raising entitled kids, so let’s not allow it. Let’s raise hardworking, gritty kids, who take ownership in everything they do. They sweep the sheds, they carry the water. So begins the Anti-Entitlement Experiment, or better said, the Empowerment Experiment. 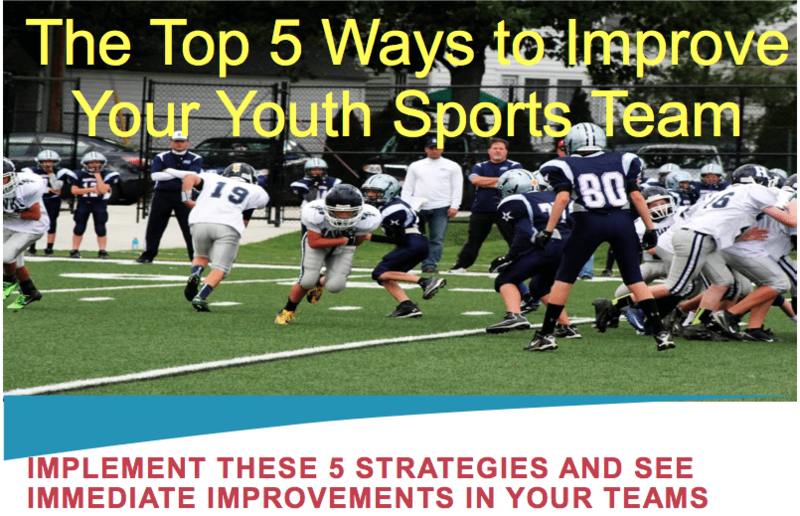 This post was co-written with Ian Goldberg from iSport360, check them out: iSport360 link. This entry was posted in Youth Coaching Blog and tagged in Anti-entitlement experiment, Aspen Institute, athlete, baseball, baseball coach training, basketball, basketball coach training, building culture, captains, championship culture, Changing the Game Project, changingthegameproject.com, cheerleading, coach, Coaching, coaching podcast, coaching your own child, coaching your own kid, coaching youth, coaching youth sports, culture, dad, dad coach, daughter, empowerment, ESPN, football, Grit, growth mindset, gymnastics, hockey, Ian Goldberg, iSport360, John O’Sullivan, lacrosse, lead em up, leademup.com, mental toughness, mental toughness kids, mlb, mom, mom coach, national alliance youth sports, nays, NBA, NFL, Parenting, pca, peak performance, podcasts, positive coaching, Positive Coaching Alliance, positive culture, Project Play, soccer, soccer coach training, softball, son, sports, sports coach training, sports parent, sports podcast, sports psychology, sports specialization, swimming, team culture, TeamSnap, volleyball, winning, Winning Youth Coaching, Winning Youth Football, youth, youth coaching, youth sports, youth sports podcast.